Keith Jellyman passed away unexpectedly last Saturday. 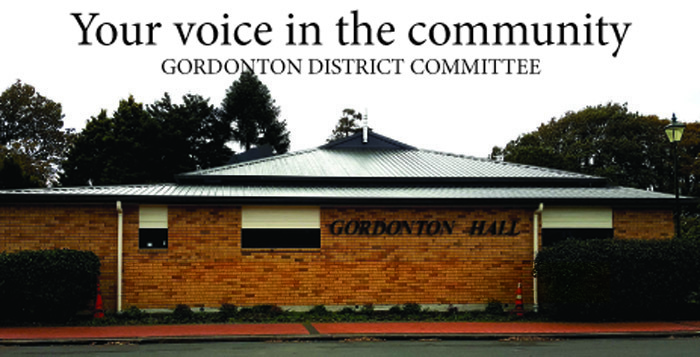 A friend to many, Keith, with his wife Lynda, has been a large part of the Gordonton community. His funeral will take place in Gordonton on Thursday 11 April, 1.30pm at Gordonton Hall. This was the punch line of one selection from Keith Jellyman’s rich catalogue of anecdotes and dad jokes. It was a reference to graffiti on a memorial plaque fixed on a park bench that he had seen and he loved the humour of it. Taking the formal and making it real and earthy, seems a fitting way to remember this caring, inclusive man. His love of God and love for the people around him blended seamlessly. In his own understated way he gathered the Gordonton community for Anzac Day (though you would never know he was behind it), encouraged services between St Mary’s and Oaks Christian Centre (the two churches in Gordonton), was a faithful attendee at the Gordonton District Council and, on a daily basis, served tirelessly for over 20 years, the host of nationalities that pass through Eastwest College. Keith modelled a gentle and loving parenting toward Simon and Kate, and shared his anecdotes of fatherhood and the laughs that often accompanied it. He was obviously immensely proud of his children. Keith, Lynda, Simon and Kate, having returned from Thailand where they lived for a number of years, came to live at Eastwest college in 1997 when there was little more than a paddock, a vision and a few willing volunteers. They were a vital part of seeing a college form out of faith and prayer, and a lot of hard work by those who travelled from afar and those who were born-and-bred Gordontonians. Keith had a hand in buildings, pavements and roads, landscaping, and every creative project at the college, at WEC and the Rainbows Early Childhood Centre. Keith had a part of everything we walk into and walk on today at Eastwest College. When it was built or made, Keith was there. As an avid rugby and cricket fan, his Chiefs scarf and hat were a regular sight and he enjoyed sharing his memory of the chainsaw-wielding Chiefs fan on a cherry-picker above the Waikato Stadium. Lynda and Keith had recently to Whakatane to offer their services at a ministry centre , and got straight to work on gardens and all the odd jobs that needed attention around the place. He was a man who rolled up his sleeves and got ‘stuck in’ but now, for his family and friends, for Eastwest College and the community of Gordonton, he has done his last odd-job, his last creative fix-up, and we are left to mourn his passing and reflect on his generosity of spirit and depth of faith. We are inspired by his example and can readily say, along with the graffiti-writing vandal, ‘He’s da man!’. Farewell dear friend” – Martin Campbell, Eastwest College of Intercultural Studies. Number 8 Network will miss Keith. He often made suggestions for great community stories and whenever and wherever we saw him, always smiled and waved. He was a gem. We pass our condolences to Lynda and family. Keith was a faithful worker at Gordonton Country Market from the first market to the last. He was always there for set up on Friday afternoon, pack up on Saturday afternoon and did a parking shift in between. He cheerfully greeted everyone he met along the way and came in to the tea house to share a story and a cuppa. Thank you for this Gayle, I would like to add it as a tribute on the story.